Government’s export credit agency gave £1.13bn to ‘dirty’ energy operations abroad compared to just £3.6m to clean energy. The UK government has broken a key pledge to support green energy abroad over “dirty” energy projects by spending more than three hundred times as much backing fossil fuel energy compared with clean energy projects via the government’s export credit agency. In the coalition agreement, the Tories and Lib Dems promised in 2010 that UK Export Finance (UKEF), a small government department, would “become champions for British companies that develop and export innovative green technologies around the world, instead of supporting investment in dirty fossil fuel energy production”. But over the course of the parliament, the department has given financial support worth just £3.6m to green energy projects around the world, data released to the Guardian under freedom of information rules shows. By comparison, UKEF allocated £1.13bn to help fossil fuel energy operations in the same period, 314 times more. The support was in the form of loans, loan guarantees and other export credit support. Under a definition of green technologies used by the Department for Business, Innovation and Skills – which includes non-energy related deals, such as water purification and waste plants – the total spent on ‘green’ credit export guarantees rises to £73m. The fossil fuel spend also rises, to £1.7bn, when projects beyond just energy, such as petrochemical plants, are counted. UKEF is a ministerial department that reports to Vince Cable, the Liberal Democrat business secretary, and uses public money to financially support British businesses abroad. Financing worth £528m went to companies working on oil exploration with Brazil’s Petrobras, whose boss recently quit over a corruption scandal, and a £330m loan was was awarded to Rolls Royce for a gas power project with Russia’s Gazprom. Companies working with coal miners in Russia were among the other fossil fuel schemes to benefit. A single deal accounts for most of the green energy support – a £3.2m bond support scheme for cables for an offshore windfarm in Germany. Other financial help includes £38,388 for companies working on a hydro project in Tanzania and £153,335 for a solar power scheme in Kuwait. Greenpeace UK climate and energy campaigner Lawrence Carter said: “The coalition government promised to use export subsidies to promote clean energy. Instead ministers have been acting like merchant bankers for the fossil fuel industry, wasting taxpayers’ money on Russian coal mining and the Saudi oil industry, whilst leaving only spare change for Britain’s cutting-edge clean technologies. The figures come a day after campaigners obtained confidential Organisation for Economic Cooperation and Development (OECD) documents that revealed export credits by rich countries provided almost $15bn in funding for coal plants and mining around the world between 2003 and 2013. The UK is a member of the export credit division of the OECD, which is examining whether it should put limits on financing for projects which do not meet greenhouse gas emissions standards. 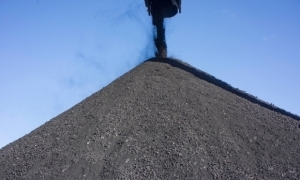 Earlier this month, the French government reiterated its pledge to stop all financing of coal projects abroad through the use of export credits, though it has yet to put a timeframe on the move.